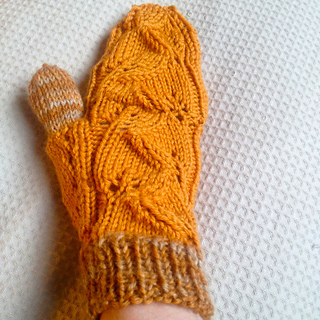 There’s nothing worse in winter than wanting to keep your fingers warm, but struggling to use anything that requires a bit of dexterity (especially smart phones!). 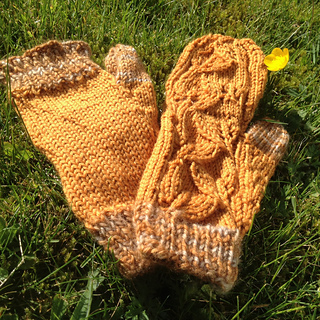 These mitts give you the best of both worlds! The leaf pattern is alternated on the left and right mitt to result in mirror-image patterns. We also have a matching hat available here.